During the busy time of the holidays, it is nice to have some simple recipes handy that you can make for your next party or pot luck. 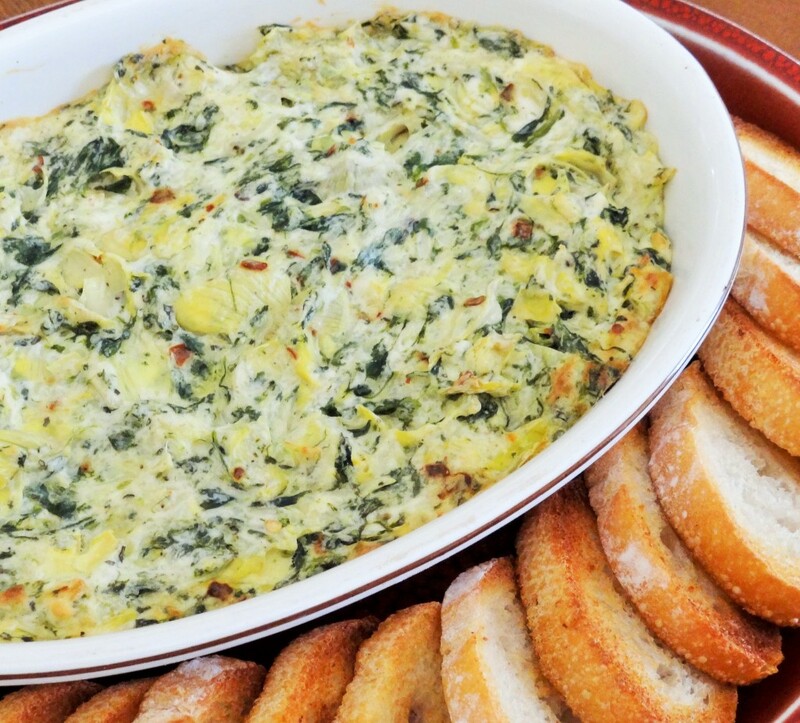 One of my “Go To” recipes for such an occasion is this Olive Garden Hot Artichoke Dip. 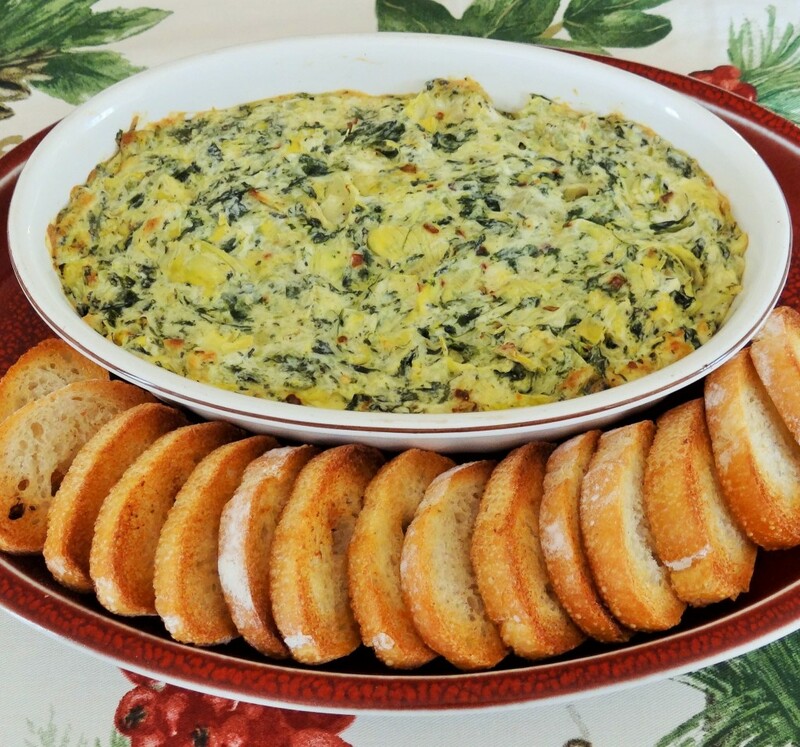 Now, I know you all have probably tried one version or another of artichoke dip or spinach artichoke dip or some sort of copycat recipe of this wonderful appetizer. I prefer this version because it is loaded with artichoke and spinach and is not too heavy on the cheeses. By adding fresh basil and crushed red pepper, it also comes out with more of an Italian flair. So, the next time you are pressed for time, whip up a batch of this wonderful dip. Serve it with crackers, toasted bread or vegetables. Today, relax, take a breath, cook something easy and yummy. Because, on this sixth day of appetizers, Dianna is bringing to you…Olive Garden Hot Artichoke Dip. Allow cream cheese to come to room temperature. Cream together mayonnaise, Parmesan cheese, Romano cheese, Mozzarella cheese, garlic, basil, garlic salt, and crushed red pepper. Mix well. Season with salt and pepper to taste. Add the artichoke hearts and spinach (be careful to drain this well) and mix until blended. Store in a container until you are ready to use. Spray a small baking dish with cooking spray, pour in dip. Bake at 350 degrees for 25 minutes or until the top is browned. Serve with toasted bread or assorted fresh vegetables.